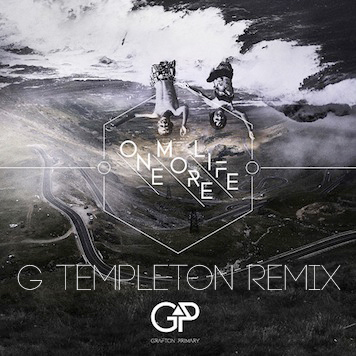 Here at Yaqui.co we couldn't be happier to premiere the new G Templeton remix for Grafton Primary's single One More Life. Grafton Primary's previous albums Relativity and Eon were jewels in my opinion. I've been a fan of GP since I first heard those two. Most of the songs contained in those album received a high rating in my iTunes. So, suffice to say I've been waiting for something new from them for some time now. Lucky me, it came by a relatively newcomer to the scene which I've been following from the start: G Templeton. The production values on this rendition of the original are as high as ever for Greg Arthur Templeton aka G Templeton. One can tell that there's attention to the details on this one. We're fans of his previous work but on this one a very shined craft and approach rise above. It has a little bit of 80's kick and snares, a driving bassline and the concoction works perfectly as it doesn't overshadow the song's vocals. This is a remix made for the dancefloor and we're sure it will help G Templeton soar to deserved heights.